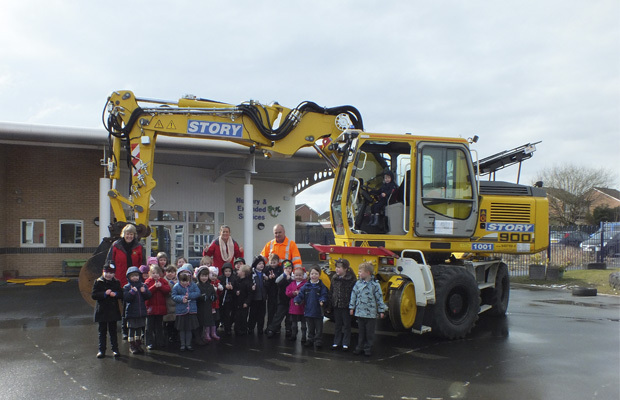 Kingmoor Infant School in north Carlisle was the destination for one of the Story Contracting Road Rail Vehicles this morning. Approximately 90 children have been doing a project on transport and have been seeing different modes of transport, but nothing quite so unusual as an RRV. We're Top Of The Network Rail PRISM League Table!